When it comes to the holidays, I'm all about a little sparkle! There are so many fun glitter shoes and accessories for sale right now, I thought it would be nice to round them all up in one place for you! 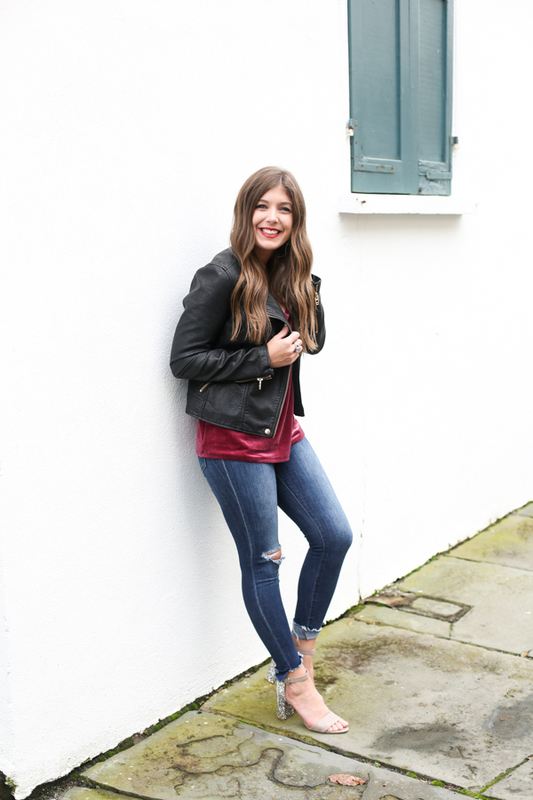 There are a ton of different colors and styles, so I wanted to show you a few different ways that you can style glitter shoes this holiday season! 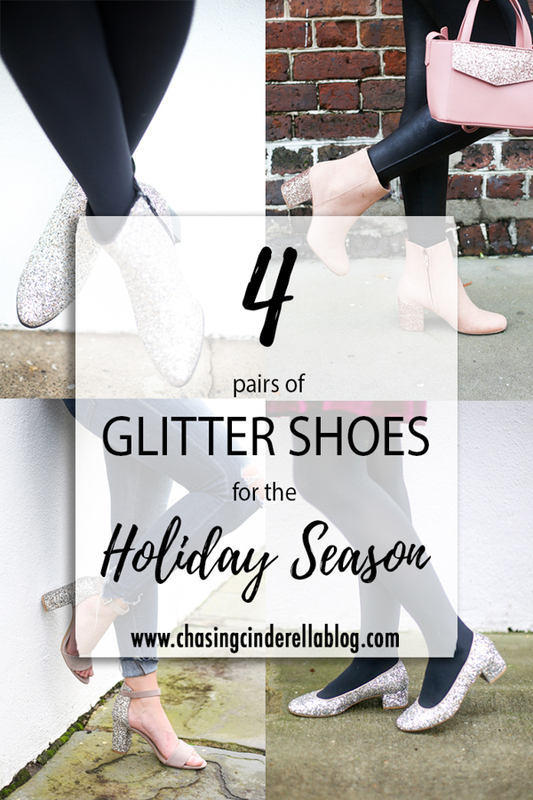 The fun thing about glitter shoes is that they can be worn all through the holiday season! Christmas to New Years.. and beyond! Who actually says that they have to be restricted for the holidays?! I would seriously wear all of these. They are all on my Christmas Wish list now! Glitter = holiday! I love all these shoes! 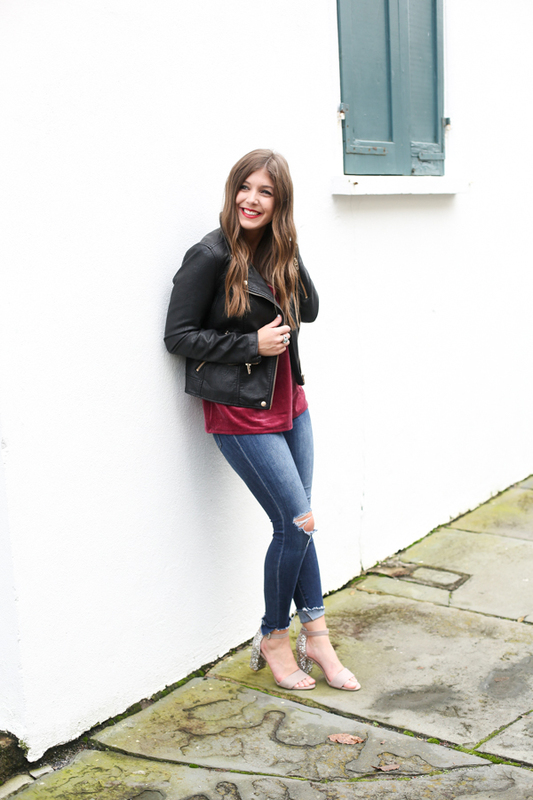 So swooning over your glitter shoes!! They're so adorable! Ahhhh I LOVE all the glitter!! I need all 4! The holidays are definitely the time for glitter! I think the last pair is my favorite - love that it's a lower block heel! YES to sparkle! These are all just the cutest so I don't know that I could pick a favorite. The silver sparkly boots might be my top choice. I need some sparkly shoes in my life all year long, not just for the holidays! 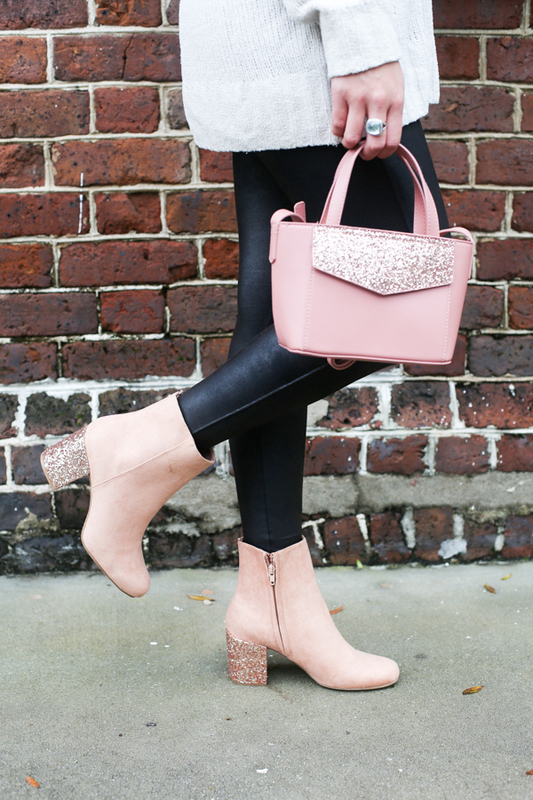 Definitely need the sparkle pink booties! I love the booties with the pop of glitter on the heel! Such an unexpected detail - so fun for the holidays! OMG those glitter booties are an absolute must!! I've never really been one for a ton of glitter, but those booties with the glitter heel are calling my name. So dang cute! 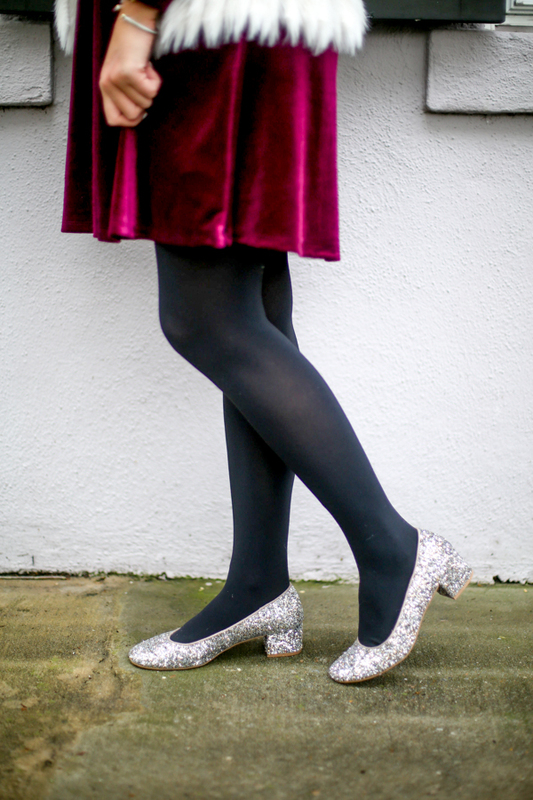 I LOVE the last pair of glitter shoes with the black tights! So many cute options! I absolutely LOVE fun glitter shoes!! You look so cute in all of these stunners! These are all so fun!! Love them for the holidays!